Hello friends! 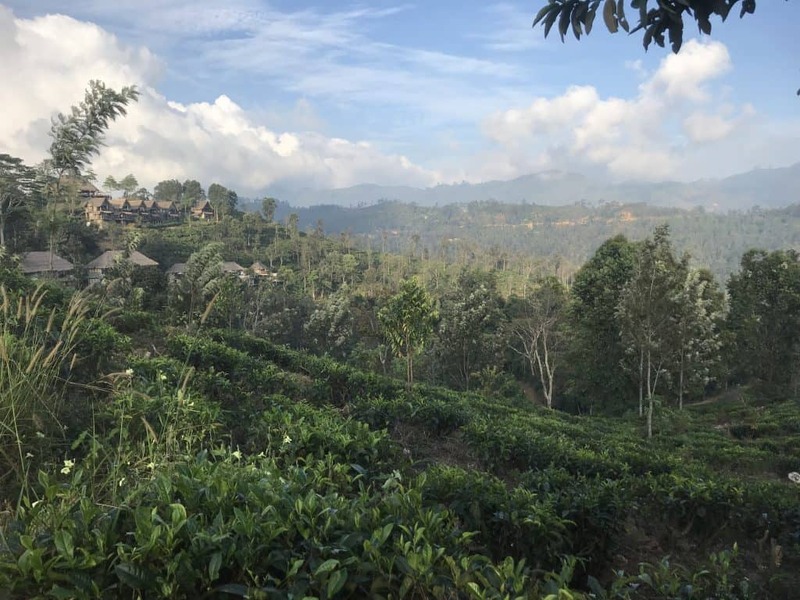 We recently visited Ella, a lovely tourist town in the hills of Sri Lanka, and we had a blast (see our complete family friendly guide to Ella here). 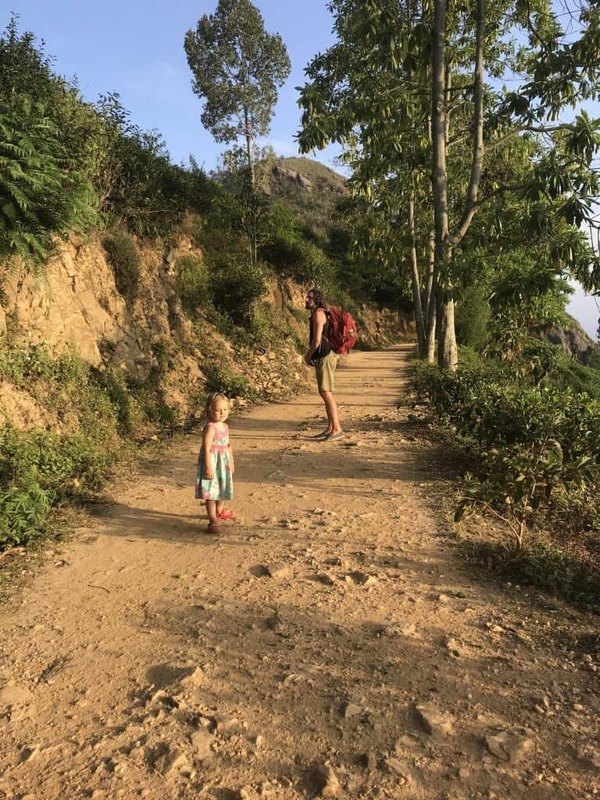 One of the things we loved about Ella was the abundance of free things to do such as climbing Little Adam’s Peak Sri Lanka; as a full time traveling family on a tight budget we don’t generally like to pay out for day trips and tours, so nature-based activities are something we really enjoy. 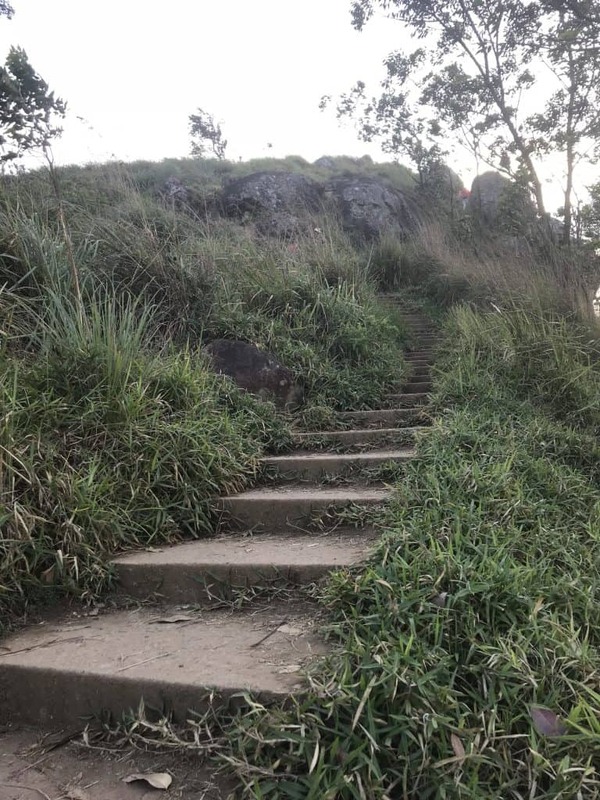 Along with visiting a tea factory and attempting to climb Ella Rock, we took on the challenge of climbing Little Adam’s Peak with our 3 kids aged 2, 5 and 7. 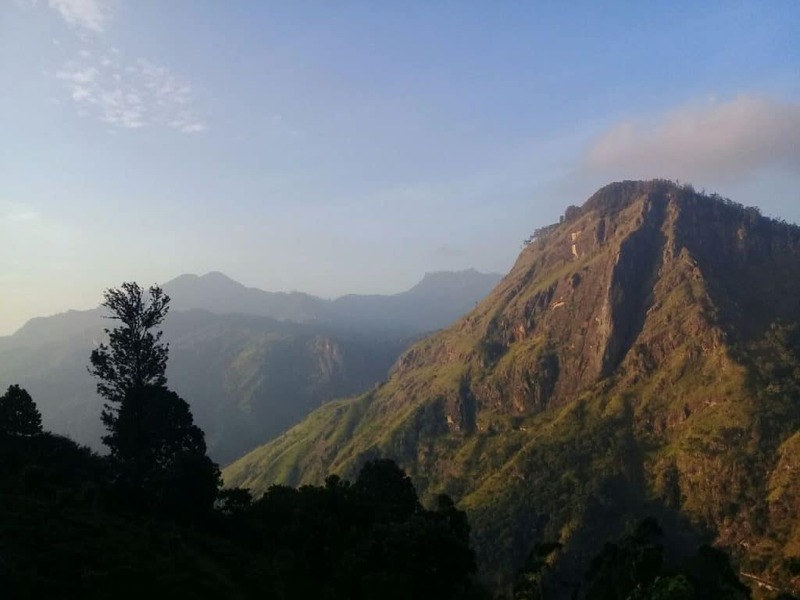 Named after its considerably bigger (2243 metres) brother (Adam’s Peak, also known as Sri Pada) in Nallathanniya, Little Adam’s Peak in Ella stands at 1141 metres. 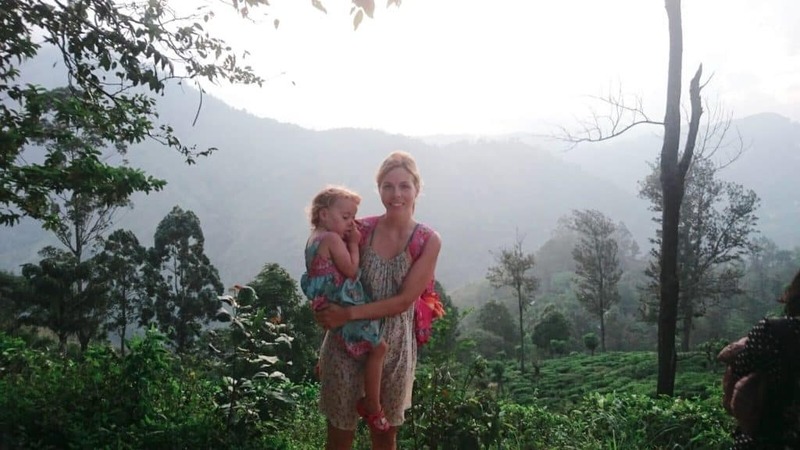 Our kids like to wander about the countryside and really enjoyed hiking the Balinese rice fields so we decided to give it a go. 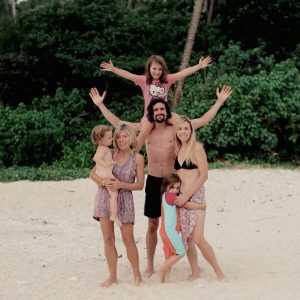 After all, if it ended in meltdowns (ours or theirs) we could just hop in a tuk-tuk and come home. Well, it was a roaring success. The climb up and down took around 2 and a half hours, taking into account that we went at the kids’ pace which was really set by our independent 2 year old who climbed all 300 steps at the top by herself. 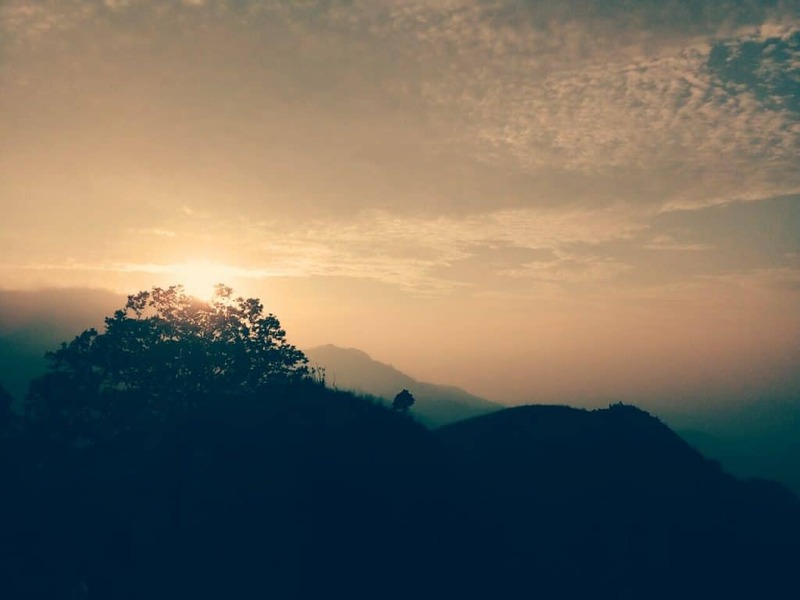 From Ella, grab a tuk-tuk for a quick 5-10 minute journey to the bottom of Little Adam’s Peak (or half-way up if you want to take it easy and don’t mind a bumpy ride!). The simply head upwards- there are always lots of tourists around so it’s impossible to get lost (believe me, if it was possible I would have done it). 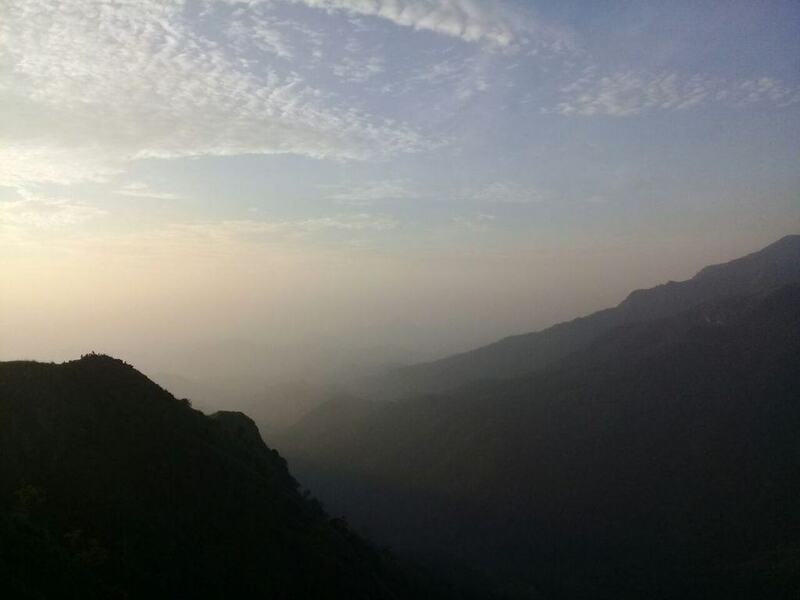 The first half of the climb is up a wide path, which varies between rock and dust with some stone areas. It is a wide path and this bit is easily do-able for most abilities including kids. 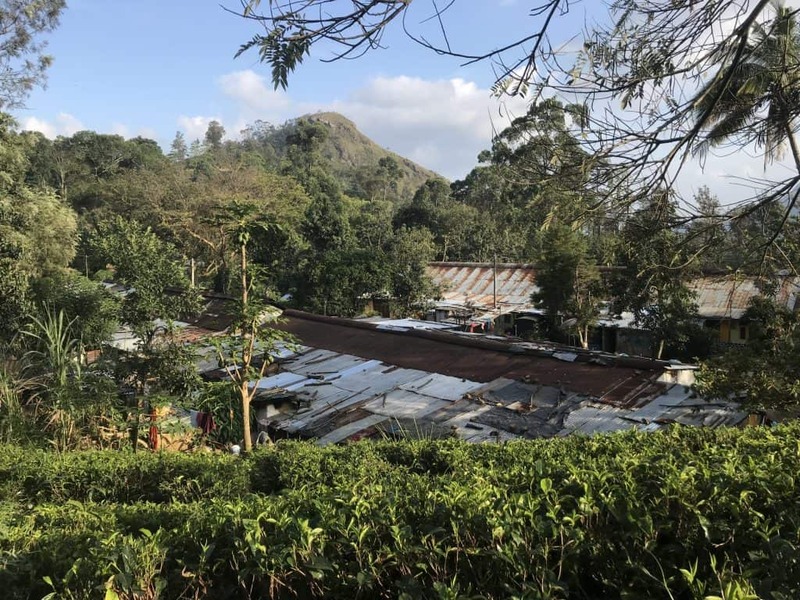 You will be able to see tea growing on the side of the mountain and will probably bump into a few tea-pickers with their baskets, who live in the village (mainly corrugated iron shack-style houses) on the hill. 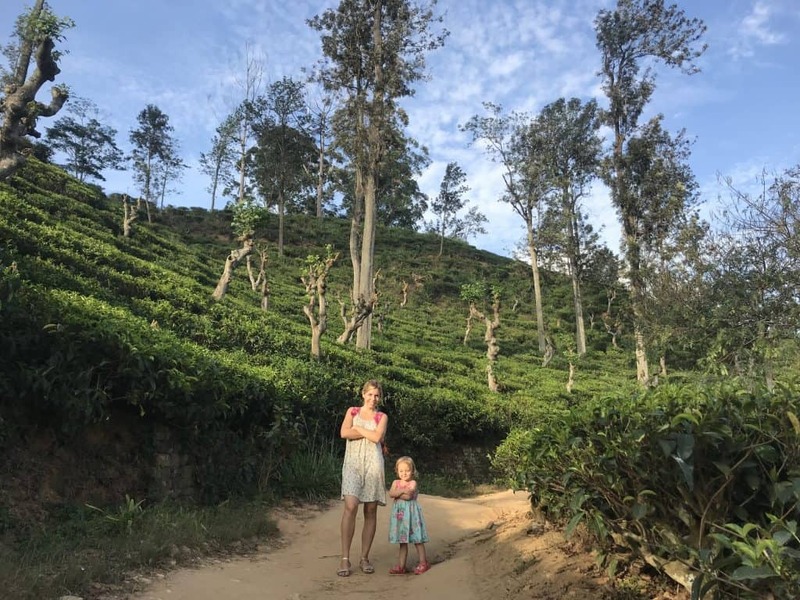 Some tea-pickers pose for photos with tourists; please give them some money for this as they earn less than £5 a day so extra cash is much needed. 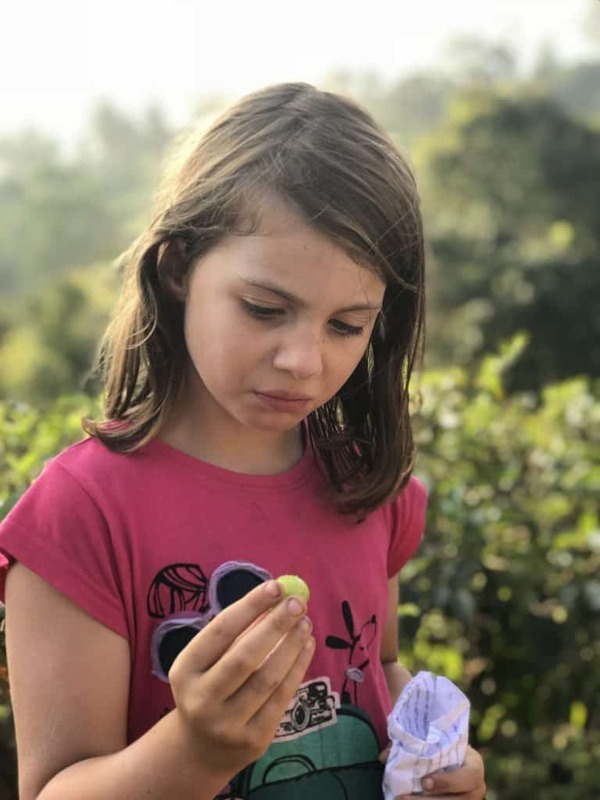 There are also often kids selling fruit for 100-200 LKR (50p-£1) and it was really nice for our kids to buy some from them and enjoy a sweet and refreshing snack halfway through the climb. We bought some things that looked like grapes but tasted like sour, spicy pickles- a bit of a shock for the kids! Expecting grapes, tasting sour pickles!! Towards the top of the peak there are 300 stone steps and the path gets considerably narrower. If you are climbing with young children just keep an eye/hand on them and they should be fine, our 3 managed it no problem. We found the other tourists to be considerate and we took turns at stepping to the side of the path to let people through when the path narrowed. The wider path. Going at the kids’ pace means a lot of time spent like this! Be prepared to carry tired little tots on the way down! The view at sunset is gorgeous, but it does get a little chilly so perhaps bring a hoodie or something if your little ones are prone to feeling the cold. 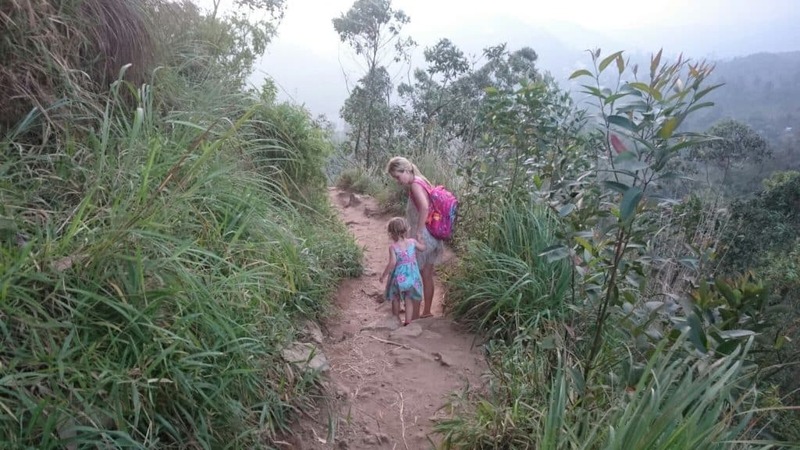 We would thoroughly recommend climbing Little Adam’s Peak Sri Lanka with kids; it is a lovely half-day in beautiful nature, a great bit of exercise and some fab memory making time.